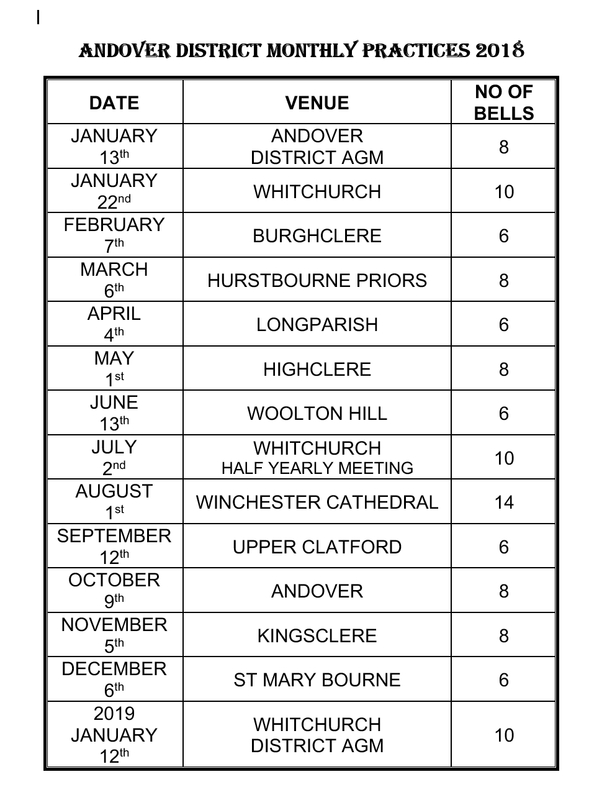 As you may recall it was decided at the ADM there would be a meeting held during the summer to update members on Guild events and elect any new members that had joined since the ADM. Two dates were put forward and Monday 25th September (at Whitchurch) has been selected. The meeting will begin at 7pm, prior to the 10 bell District practice. Once agenda items have been identified further details will follow. The Barfield Handbell Ringers from Thatcham bring the captivating sight and sound of music played on 97 handbells. With an extensive repertoire of music from several centuries from which to choose the programme, this concert will include a wide range of music – classical, hymns and popular! Come along and share this amazing evening!